For the first time, Sadie s little brother Ori will be joining her at sleep-away camp. He s very excited, but he wants to bring Nuggles, his favorite stuffy, and is worried that his bunkmates will make fun of him. Is he ever in for a surprise! 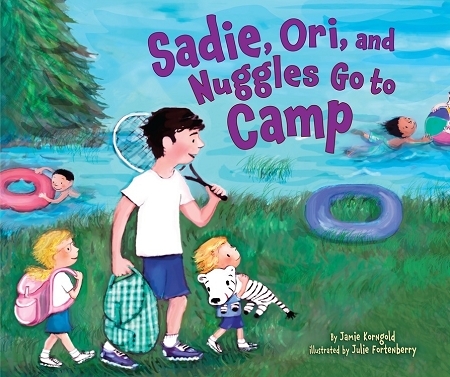 The fifth book in Kar-Ben s popular Sadie and Ori series by best-selling author Jamie Korngold (God in the Wilderness, Doubleday), often quoted in the media as a voice of liberal Judaism. 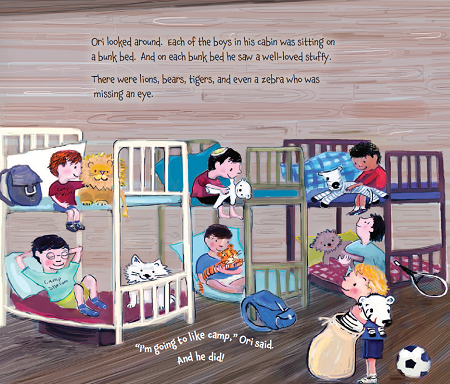 "this quiet story is recommended for its warmth, its understanding of human nature, and for its inviting delivery of Jewish camp for the very young about to sleep away for the very first time." 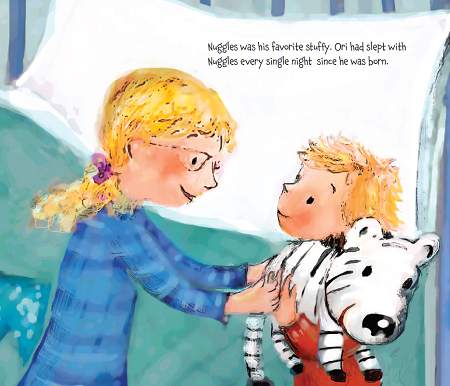 "This short picture book portrays a realistic look at a natural concern. 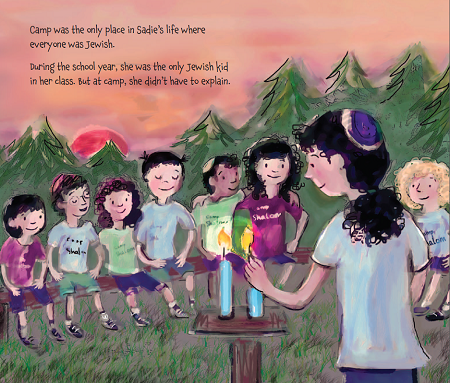 It is amusingly told and accompanied by colorful, whimsical illustrations which make camp look like lots of fun." " . . . this should serve most new and first-time campers well in providing a positive response to the anxiety that inevitably accompanies excitement at leaving home.